When there is a build failure or any changes in the build state, we must get notified immediately through e-mail. so that we can fix the issue at the earliest. There is a mailer plugin available in Jenkins that has be installed and configure it based on the requirement. 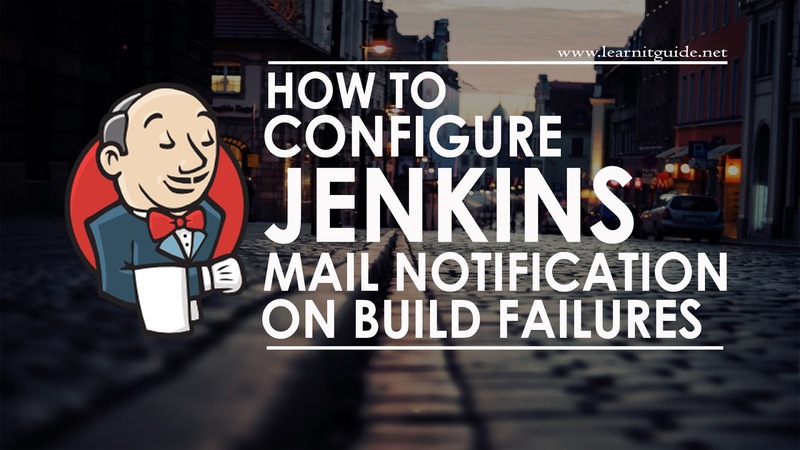 In this post, we show you how to configure email notification in Jenkins. Once you have logged into Jenkins portal with valid credentials. Step 1: Install Mailer Plugin for Jenkins Mail Notification. Go to "Manage Jenkins" available at the left side panel. Select "Manage Plugins" from the Manage Jenkins Page. Go to "Available" tab and Search for "mailer" plugin in filter. Select the plugin "Mailer" and Click "Install without restart". Selected plugin and its required dependencies also will be installed. Once the "mailer" plugin is installed. Click "Go back to the top page", this will take you to the main page of jenkins. Again go to "Manage Jenkins" and select "Configure System". Scroll down to find the field "Jenkins Location" and change "System Admin e-mail address" with your Name and E-mail address in the same format as shown in the below image. Because, this is the information about sender and sender mail address. Now, Enter your SMTP Server name in the field "SMTP Server". For this example, I use my personal gmail address to get the mail notification, So I used gmail smtp server. Once this is completed, click "Advanced" button to provide the authentication details. 1. Enable "Use SMTP Authentication"
2. Enter your E-mail ID or username. 4. Mark to "Use SSL". 5. Enter your SMTP Server Port Number. Once above required information are given, We can check the configuration by sending a test mail. So, select the option "Test configuration by sending test e-mail" and enter your mail address, click "Test Configuration" button to ensure the mail configuration works properly or not. If everything is ok, you will get an test e-mail from this jenkins server. Finally click "Save". Let's go back to main jenkins job queue and select the job which require notification. Go to "Post Build Actions"
Select "Add post-build action" and Click "E-Mail Notification". Enter your recipients mail address and select first option "Send e-mail for every unstable build". Click "Save" button. But, If the second option "Send separate e-mails to individuals who broke the build" is checked, the notification e-mail will be sent to individuals who have committed changes for the broken build (by assuming that those changes broke the build). So we have configured mail notification for build jobs. If there is any failure in build or any changes in build state from failure to success or success to failure, you would get an mail notification. Sample mail for build failure. Sample mail for build state changes. 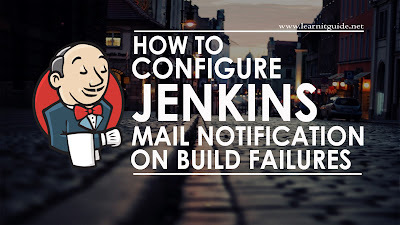 Hope you have got an idea how to configure Jenkins mail notification for any build failure and build state changes. Going forward we will play more with Jenkins integration tool. Keep practicing and have fun. Leave your comments if any.